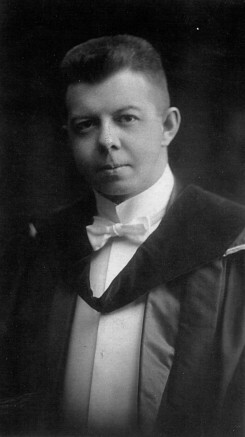 Dr. John G. Seaton was the son of F.G. Seaton of Lakeside. He graduated from the University of Western Ontario in London, Ontario and had served with the Militia previously. He served overseas with the Royal Canadian Army Medical Corps and upon his return started his practice at Sheffield, Ontario. He married Hilda Secombe of London. He was greatly interested in sports and was one of the co-founders of the Ontario Rural Hockey Association in 1941. The Dr. Seaton Memorial Hall was the 1967 centennial project of the Township of Beverly, east of Galt, Ontario.